The Missive Maven: One more day for cat postcard swaps, round 2! Okay, I really hope I'm not being too annoying with this Swap-Bot Cat Postcard Swap thing, but here's a little reminder that tomorrow, Sunday Nov. 29, is the last day to sign up for round #2 of the cat postcard swaps on Swap-Bot: the USA only swap for those of you that live in the USA and don't want to pay international postage, and the International swap open to any country. 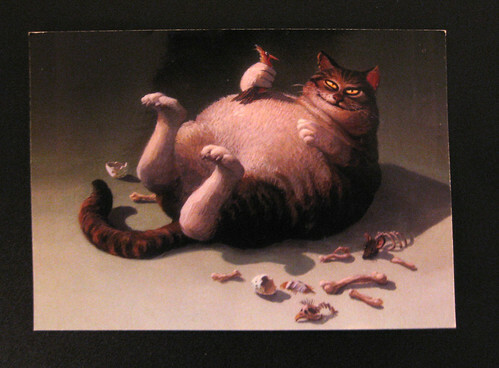 love that picture of the fat cat LOL !!! too funny . That is awesome and it is always nice when a swap ends with a smile .